Our creative team is seasoned by an association where sometimes the work comes first, sometimes the painting. In this book, the noir masterworks appear to follow the verse in that they amplify and describe so accurately. Taylor is an ex-pat living in France who calls upon his childhood in Iowa as well as his explorations in Europe to memorialize nature’s great sentinels. It’s an art book and a poetry book. At the center of each landscape is a voice of wonder and appreciation as well as a memory and mortality. Being alone in nature will do that, lets you know what you think and remember — an inner porthole to the past in the beauty of today’s surroundings. 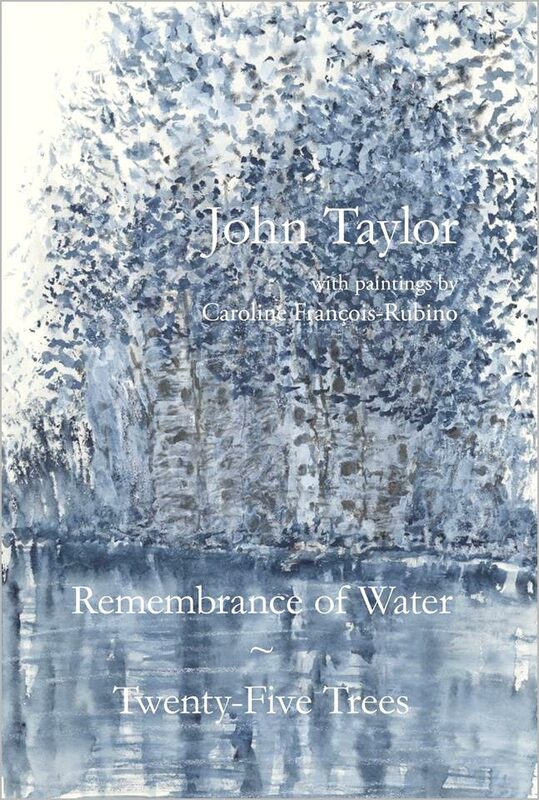 But Taylor is not alone; the paintings give another authority to what is said and a chance to feel something more. The paintings are not simply innate skill. They are a spiritual power.